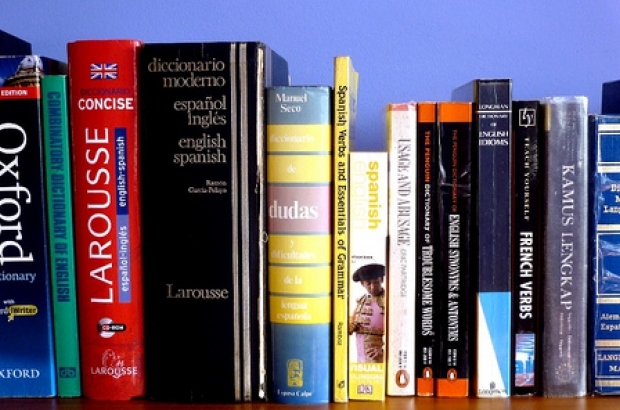 Need to brush up your French, or fancy tackling an entirely new language? Brussels is a language-learning treasure chest waiting to be cracked open, and here’s where you can make a start. Looking to improve your French or Dutch? Make your way to the Dutch (Huis van het Nederlands) and French (Maison de la Francité) Language Houses. Launched by the French- and Dutch-speaking Communities, these centres provide in-depth information on what programmes are available, taking into account all sorts of factors such as your educational level, where you want to study, how often you can commit to lessons and why you want to learn the language. Although a visit to these Language Houses is useful (and sometimes required), Maison de la Francité also provides an online directory of French courses, with the Dutch equivalent provided by the Commission of the Flemish Community. One option is the Continuing Education Institute (EPFC) on the ULB campus. If your linguistic horizons are outside Belgian borders, then Prosocbru could be your starting point. It’s a network of 46 community-run continuing education schools, with a directory that gives you up-to-date course information on a dozen languages, with filters for level, location and times. Why pay to learn a language when it’s offered for free? Brussels offers two routes to free language learning. If you’re a resident in one of the city’s 19 communes, the Flemish government sponsors beginner Dutch courses (level 1 and 2) within its Dutch as a Foreign Language (or NT2) programme administered by Flemish Continuing and Basic Education Centres (CVOs). CVO Brussels Education Centre is based at the VUB’s Etterbeek campus. The second route is through Belgium’s regional employment offices (Actiris, VDAB and Forem in Brussels, Flanders and Wallonia respectively). All three offer a variety of free language courses to registered job-seekers, such as Bruxelles Formation Langues organised by Actiris. For those about to begin a new job, these offices allot up to 60 hours of language cheques – allowing the holder free private or group lessons – for those aiming to improve their skills in Dutch, French, English or German. All the above programmes require a Belgian identification number before you can enrol, and several centres, such as Het Huis van het Nederlands and Actiris, require you to visit their offices during working hours to take a test and determine the most suitable course or programme. Finally, most services listed in this article don’t offer English translations for their websites. So if the idea of these linguistic obstacles gives you a headache, have a web page translator on hand. There are hundreds of options for studying languages from around the world in Brussels, from intense immersive courses to Skype sessions and small group classes. The Bulletin publishes a list of language schools in its magazine each spring; you can pick up a copy from press shops or on our website, or buy a downloadable copy from our online store. Conversation tables are also handy for extending your knowledge of a language beyond the merely transactional – try Muntpunt in the city centre for Dutch, or check out the Cercle Royale Polyglotte or Meetup. That sad thing is that as long as the exceptional language learners like Eli from Your Homework Help try to force their own success on everyone else, the majority of the population will think there is something wrong with them for not being able to accomplish the same proficiency he has. The fact is that most English-speaking FL students do not become proficient in another language and most do not advance beyond the first two years of language study. In fact, even those that do still end up unable to hold a fluent conversation in another language. My aunt got a degree in French, but cannot hold even a basic conversation in French. I speak French and German, but have studied Swedish for a while. I've completed the first three levels of Rosetta Stone, can recite grammar rules and vocabulary lists, but still can't converse well at all. Something is not working for the vast majority of students. Language teachers respond en masse by trying to make their grammar and vocabulary lessons more "interactive". Ironically, what they are trying to do is provide more comprehensible input. Unfortunately, many of them are also forcing their students to speak before they are ready, throwing up their affective filters, thus ensuring they learn virtually nothing and choose to abandon their study as soon as possible. To any teacher that is skeptical, just try a TPRS lesson or two, see what happens. That's what I did. It has been a long process of baby steps for me. I don't even consider myself 100% TPRS, my student still have to be able conjugate a regular verb by the end of the year. However, I use TPRS as my primary teaching method. I have had phenomenal success. My 2nd, 3rd, and now 4th year classes are literally overflowing. We have to turn students away and ask them to register in a later year, because I simply do not have enough hours in the day, unless I want to have classes with over 50 students, which I don't. The main thing to remember is that teaching is as much an art as it is a science. In foreign language we have to also worry about enrollment numbers as much as rigor. We have to provide an academically rigorous, yet enjoyable course. Nothing motivates like success and TPRS does just that!